Question: Is East Ramapo getting less state aid than other Rockland Districts? Answer: East Ramapo receives more state aid than any other district. Question: Why does East Ramapo receive more aid? Answer: Because the aid formula takes into account expenses for non-public schools and students who are in poverty and/or have special needs. Question: Why does Haverstraw receive the second highest level of state aid? Answer: Because Haverstraw has the lowest income and property value in Rockland. Question: Do East Ramapo property owners pay a greater part of the school expenses through property taxes than other Rockland property owners? Answer: East Ramapo property owners pay 57% of the total cost of the district, much less than the average of other Rockland districts. 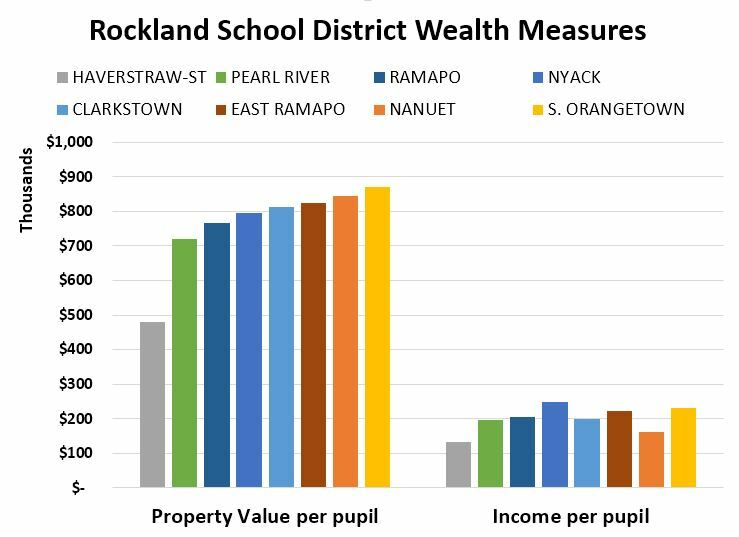 Even Haverstraw, which is the poorest district in Rockland by far, pays a larger share of its education expenses than East Ramapo. Question: What would happen if East Ramapo residents paid the same share of their income for public education as other Rockland school district taxpayers? 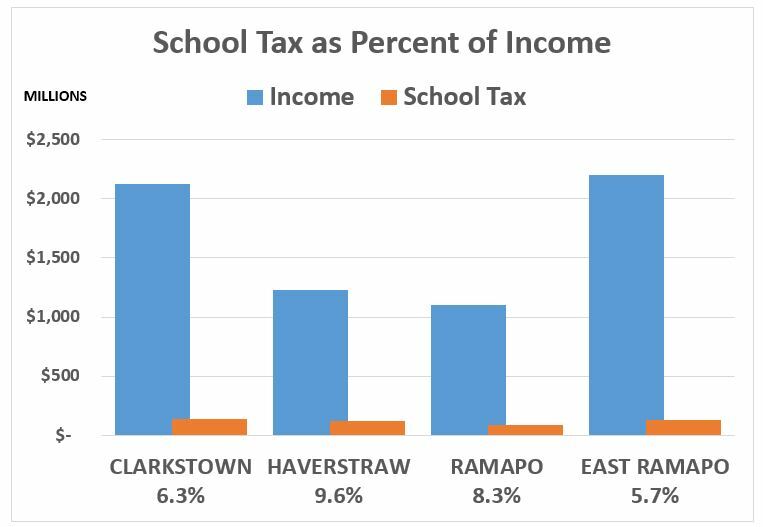 Answer: East Ramapo residents pay 5.7% of their income, as a whole, in school tax. The average for Rockland is 7.9%. If East Ramapo school tax was the same as the Rockland average, there would be $44 million dollars per year more money available for public education. Conclusion: The cause of East Ramapo financial problems is that many local residents do not support public education. This may be due to their ultra-orthodox religious beliefs. 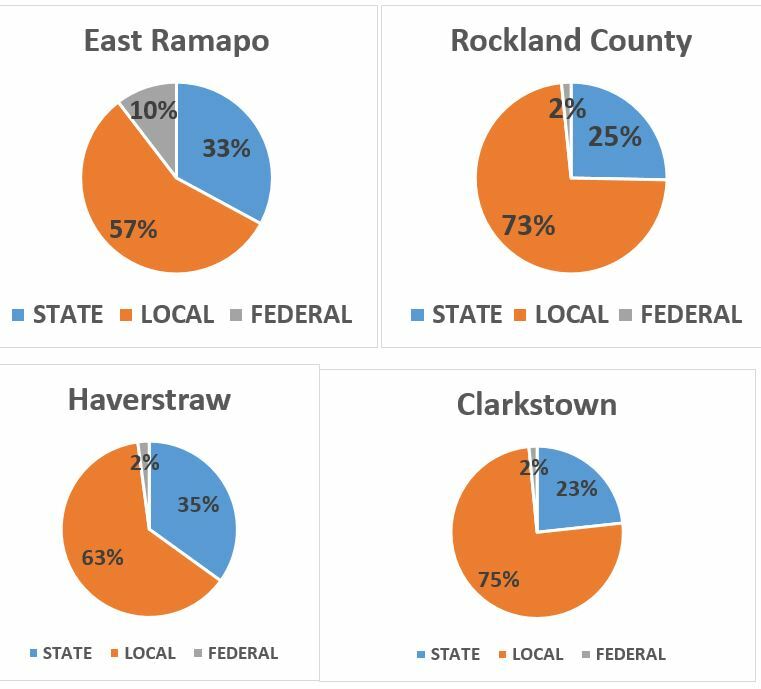 East Ramapo already receives more assistance from the state and federal government than any other local district, even Haverstraw, which is poorer. 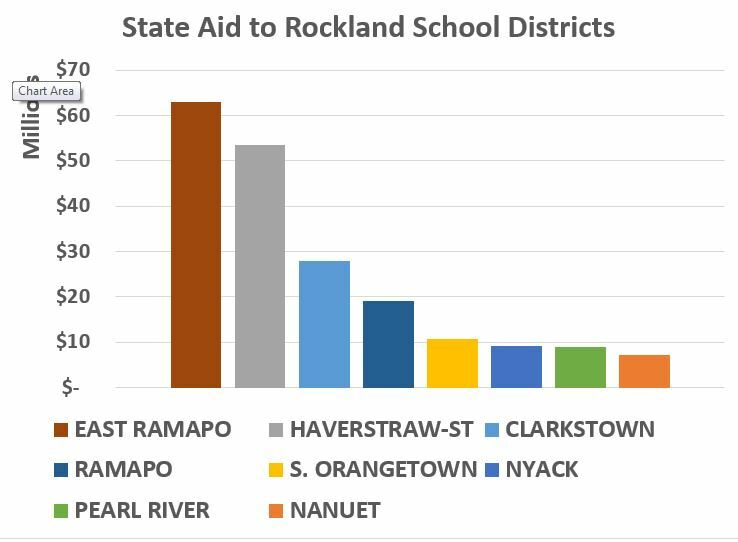 More state aid to all districts would be a relief to local taxpayers, but lack of state aid or unfair distribution of state aid is not the reason for the problems in East Ramapo.